The Clean Coasts Programme is sponsored by Coca-Cola and supports local people who are passionate about caring for Northern Ireland’s coastline and inland waterways and who strive to uphold its natural beauty by getting out and carrying out practical work in a bid to reduce the impact of litter and other environmental damage. The programme includes a week of dedicated action promoting clean up events and other activities on beaches and inland waterways, as well as the Coast Care Awards which celebrates and rewards our dedicated volunteers. The programme was founded in 2007 and in 2008 recorded a total of 110 volunteers. The programme has grown dramatically to a staggering 4642 volunteers in 2016. During Clean Coasts Week 2017, the programme came into its element, with new and innovative events taking place throughout the country. A Clean Up and Drum Circle, a Cycle Sea Safari, Beach Clean and Boot Camp, and an Extreme Cave Clean in the underground rivers of Fermanagh are just a few of the events which engaged local people, both familiar and new to the programme. These events highlighted the effects of marine litter but also showcased the beautiful coastlines and inland waterways that our country has to offer. 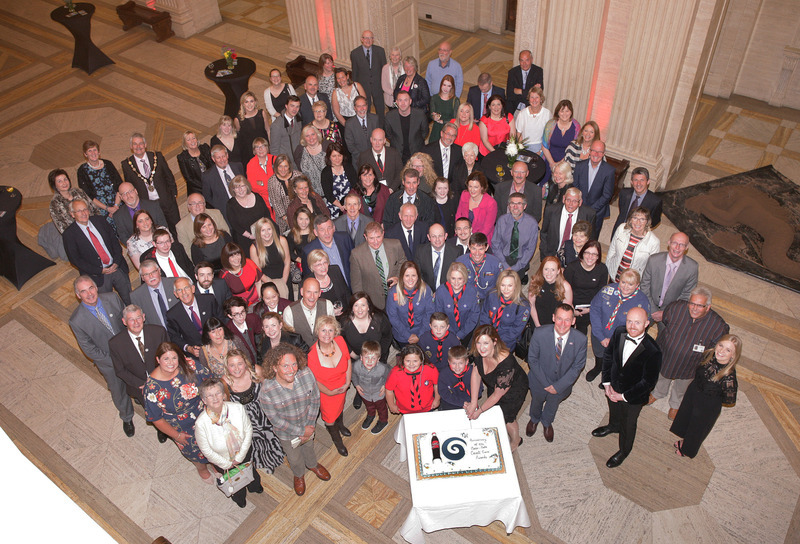 On Thursday 5th October, Live Here Love Here and Coca-Cola HBC celebrated the 10th Anniversary of the Coca-Cola Coast Care Awards, held at Parliament Buildings, Stormont. The event, hosted by BBC Weatherman Barra Best, praised and rewarded the efforts of volunteers who have gone the extra mile to clean up and look after our coastline and inland waterways, in a bid to preserve the natural beauty of these areas. The awards also celebrated the beauty of Northern Ireland’s Coastline and Inland waterways through the Picture Perfect Award; showcasing the beautiful scenery this country has to offer. 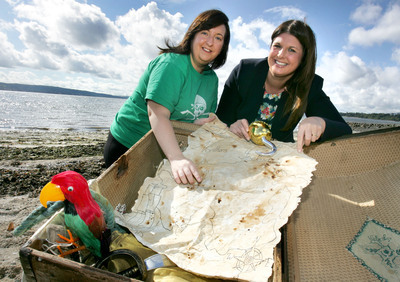 The Live Here Love Here Clean Coasts Programme supports the work of volunteers who clean up beaches, rivers and loughs throughout Northern Ireland, providing equipment and support to these outstanding local heroes. This would not be possible without the continued support of Coca-Cola HBC Ireland and Northern Ireland. The guest speaker on the night was writer, surfer and founder of the #2minutebeachclean campaign, Martin Dorey; he spoke from the heart, relating to and encouraging volunteers to continue in their fight against marine litter and highlighting the significance of even the smallest of gestures. Guests were entertained by music from talented, young musicians Fourte Strings and visual entertainment by sand sculptor, Tony Hawkins. Thank you to JP Corry who generously donated a tonne of sand! We would like to extend our thanks to the following people and companies who made the awards possible: Paula Bradshaw MLA, Stormont Parliament Buildings, Barra Best, Martin Dorey, Fourte Strings, Tony Hawkins, J.P. Corry, Houston Green Photography, Aunt Sandra’s and Helping Hand Environmental. We would also like to extend a special thank you to Coca-Cola HBC for their valuable contribution to this programme. It's easy to show your support - one little click, one big difference! It's easy to register as a volunteer and add an event online. Check out the calendar of events to get involved with Live Here Love Here!